I didn’t know it at the time, but setting up WordPress on RobCubbon.com in 2005 was a life changing moment. ‘This guy’s lying. “Life changing” – what is this guy on about?’ I’m not lying. It was life changing! ‘This guy did it in 2005 – it’s 2012 now and it’s not the same.’ It is the same. You can do it now! ‘I can’t do this, I can’t make a success of my own business, I’m not good enough to do web design.’ That’s what I thought. I was wrong. You can do it! It is perfectly possible for anyone to set up a blog and use it to generate leads for a business even today! But when you work from home you’re free to do what you want, when you want. If it’s a nice day you can just go off somewhere (the countryside, a museum, a nice restaurant) and miss the weekend crowds. And you can make the decision in the morning and just do it – much more fun than having everything planned. It’s not only the freedom of deed – being an entrepreneur frees your mind. When you are a small part of a big machine (as can happen in large organisations) there is a tendency to pass off difficult work to other departments when you’re not entirely sure how to do it. However, when you’re running the business you can’t do that and you have to think creatively to solve problems. Once you set up your own design business, you’re the boss. That means nobody looks over your shoulder saying, “err, could you make it zing!” And, you don’t get the senior designer to pass all your work. You only have the client to worry about. No doubts whatsoever, I’m a ten times better designer since I became the “senior designer” (read: only designer). I became the accountant, receptionist and marketing department, as well – you get the idea. Working for other people stripped me of confidence to take on large design jobs. Confidence returns when you’re pushed into the deep-end professionally and you – somehow – manage to stay afloat. Another thing I really love about running my own web design business is that it makes it easier to provide a quality service for my clients. An independent web designer is lean, flexible and economical when compared to a big organisation. There is only one person doing the design, the development, the SEO, the marketing, the social media strategy, the business cards, or whatever the client wants. This means consistency of look and message can be easily maintained across all aspects of the design. Allied to the above point, there is no disconnect between the client and the end product. The brief doesn’t get passed between account managers, designers and others. A great relationship. There can be an “Us and Them” relationship between client and creatives in large design companies which isn’t helpful. This never occurs when a designer communicates directly and properly with the client. It can save you time. You can brief a website into a web designer and they’ll draw a contract for you to sign straightaway. After that, a fully functioning website can be up and running within a few days or weeks. It can save you money. Obviously, as there are no account managers, accountants, receptionist, or whatever else to pay, an independent web designer with low overheads can offer an extremely competitive price. It’s good for the environment. The traditional model of work – millions of people travelling independently to the office for two hours each day – is extremely harmful in terms of stress and congestion, not to mention, wasteful in terms of fossil-fuel. It really is a win-win situation. I push myself to better serve my clients by completing projects I find challenging, this makes me a better web designer, which brings me to the attention of larger clients, who give me even more challenging projects, which makes me an even better web designer … and so on. Plus my experience of marketing myself online and running an online business enables me to advise my clients about how to grow their websites and businesses. And, lastly, I think running my own web design business has put me in a better and more secure position for the future. When you are constantly required to provide the most effective and up-to-date marketing solutions by a dynamic clientele, you naturally develop very useful skills and expertise. I feel that I am better informed and able to deliver more successful projects than I was a few years ago, simply because the experience of creating the best possible websites has been so useful. 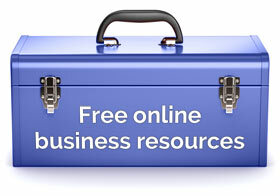 Anyone can learn web design and run a web design business from home. You don’t need to give up work and take out a huge loan from the bank (as if you could! 😉 ) But you can start in your spare time as I did. 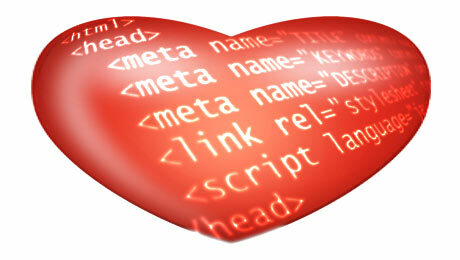 If you are currently running a web design business or something similar – what do you love about it? Do you agree with me? I find blogging to be a win-win as well. As an author and writer, the thought of blogging in addition to the other writing I do all day seemed daunting. Now, I’ve embraced it for a broad range of reasons, from greater connections and networking to the emotional boost. 🙂 Stay well! Thanks for the great post. You me I too can become a rich and famous blogger, and all I have to do is buy your book? It’s a win-win! Damn typos in my scathing internet comment! Should read “You mean I…” Irregardless, you are peddling sir, and I caught you in the act. I’m selling products but they’re not directly linked to from this blog post. I’ve never said anywhere that running your own web design business is easy or that you only have to buy a product in order to do it. Typical troll. Can’t spell, doesn’t make any sense. Didn’t even bother to read the article, just looking for attention. Well you got your little bit of attention so now go bother someone else. I saw no peddling, just a positive and informative little article with links to receive even more information FOR FREE. Some people appreciate the effort that is actually involved with a blog like this, and appreciate that all this information is provided free to them. Thanks, Tristan, I think you’ve got everything pretty much right there. I am peddling, in that I’m selling products here. But there are only two very small links in the sidebar at the moment and it’s not a large part of what this site is about. Great post. I agree when it comes to our lifestyle. One thing though: anyone can learn how to make a quick website, but what about proper coding, proper seo, running your own server etc. It takes years to learn all this. There are so many web designers/coders that charge tons of money for their work but their websites do not even have proper headings. A lot of people do not know about this. Web design is a perfect scam. Online business is not as easy as people think. Thank you, M, I still maintain that anyone can do it. Anyone can run a successful web design business. I never said it was easy. Nor did I say that you can do it quickly. You can start quickly, of course. However, it took me 2-3 years from starting a website to running a business full time. Obviously, some people will fall into the trap of thinking they can set up WordPress, activate a theme and plugins and run a business selling website design. There will always be people who think there is an easy way out – I can’t help that and this website is not for them! When I first struck out on my own I felt guilty that I could do what I loved, from my own home, and earn money. Took some years for it to sink in that it was possible, it was OK, and I can keep doing it even though my baby is in school. All your benefits are right on the mark, and you DO have to work hard and have some diverse skills. I want to add that being flexible so you can be there with kids is also huge. Thx 4 all your helpful info Rob. You are right about the attractions of freelance web design. I just want to underline your reference to “freeing your mind” and set that against the title of your book “How to Market Yourself”. Did you ever read “Generation X”? One of the advantages of being self employed is that you can feel some distance (not much, but some) between yourself and the huge, grinding machine of the economy. For some of us, it is important to hold onto that sense of distance, which is why we would never download a book with instructions about how to market ourselves. I refuse to think of myself as a commodity. The things I produce are a different matter. If you have good advice about how to market my work, I might be prepared to pay for it. No, I’ve never read “Generation X”. Also, I would differentiate between running your own business and being a freelance designer. When you run your own business you write the rules. However, I can’t view myself as separate from the economy either. I don’t think it’s such a bad thing to think of yourself as a commodity so the e-book isn’t for you, Michael. Glad to hear it, Ethen. Thank you for an inspiring website and all the information. A few years back, I went to school part time and received a certificate in web design hoping to change careers. Over time, I have built about 10 websites for clients but, funny enough, still do not have the confidence to go full force and build a successful business out of it. That is, until now. I’m excited to read your e-books and really work towards the freedom this can give me, and also to push past the fear of not succeeding. Thanks again! Hello, Terry. Really great that you find the website inspiring and useful for you. I really hope you see the success you deserve. If you have any questions let me know. All true. I just wish there wasn’t an list about as long of drawbacks. 🙂 Having said that, I’m on Year 15 now.